A handyman with expertice on. plumbing, drywall, painting ,tiling. 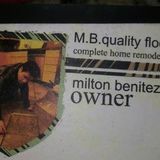 Bath remodeling etc. Located on south chase area and willing to go up to 25 miles radius. Hard worker that does thing right the first time. Im Very punctual and detail oriented. I am a hard working person who has been in this profession for a long time. I get the job done and exceed expectations.